"Past Performance Is No Guarantee of ..."
Any time you read a mutual fund prospectus or other investment disclosures, you are probably going to come across the oft-repeated phrase, "Past performance is no guarantee of future results." What does it mean and why are so many asset management firms, whether they sponsor index funds or individually managed accounts for affluent investors, insistent upon including it? It goes to the heart of something important if you want to make intelligent decisions and manage your risk: It is the methodology that counts, not the recent scorecard. Famed hockey player Wayne Gretzky summed up his secret to success when he said, “go where the puck will be, not where it is.” When analyzing a company or mutual fund, many investors would do well to heed the same advice. Instead, they suffer from what is known in the business as “performance chasing.” As soon as they see a hot asset class or sector, they pull their money out of their other investments and pour it into the new object of their affection. 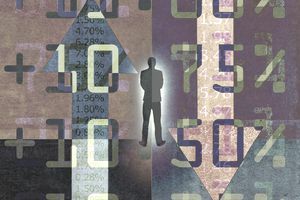 Asset management firms are required by the Securities and Exchange Commission to say that past performance is no guarantee of future results, in part because many of them used past performance as part of their advertising campaigns. This isn't a minor thing. One Morningstar research project discovered that during periods when the underlying mutual funds compounded at 9%, 10%, 11%, the actual investors in those funds only made 2%, 3%, and 4%, because they were constantly buying and selling at precisely the wrong times, allowing their emotions to control them rather than taking a long-term view of investing. In terms of consequences for wealth building, that is catastrophic, especially once you've factored in inflation. Past performance can be helpful when analyzing an investment, but it's important to look at a long time horizon. If a stock goes up 15% in one year, that alone doesn't tell you much about whether it is a good investment now or whether it will be a good investment in the future. However, if a stock has shown average annual returns of 9% for more than 40 years, that's a positive sign, especially if you have a long investment time horizon. Nothing is guaranteed, but long-term past performance can certainly offer insight into the potential for a stock's growth. When analyzing past returns, it's best to generally ignore returns from the past 1-3 years and focus on 10-year returns or even longer. Those longer returns are more indicative of the stability and strength of what you are investing in. What makes me think the earnings of this company will be materially higher in the future than they are at the present time? What are the risks to my hypothesis of higher earnings? How likely is it that these theoretical risks will become actual realities? What were the original causes of the company’s under-performance or over-performance? Has this particular sector, industry, or stock experienced a rapid increase in price in recent history? Am I buying or selling based on valuation, systematic purchases or market timing? If there has been a significant deviation from the mean in any major sense what makes me think it won't revert back? How do I know that this truly is the "new normal"?